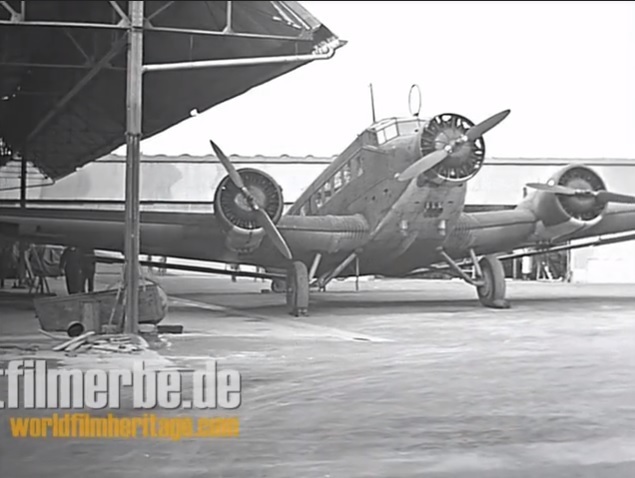 Some neat footage of a selection of Ju 88s (note KG 51 badge in evidence) from the Junkers Frontbetriebreparatur (FBR - advanced maintenance facility) in the Nord Aviation factory at Méaulte in the Somme region of northern France seen during 1940. Following the French defeat and subsequent armistice in June 1940 the Vichy French authorities had very quickly opened negotiations with their new German masters. 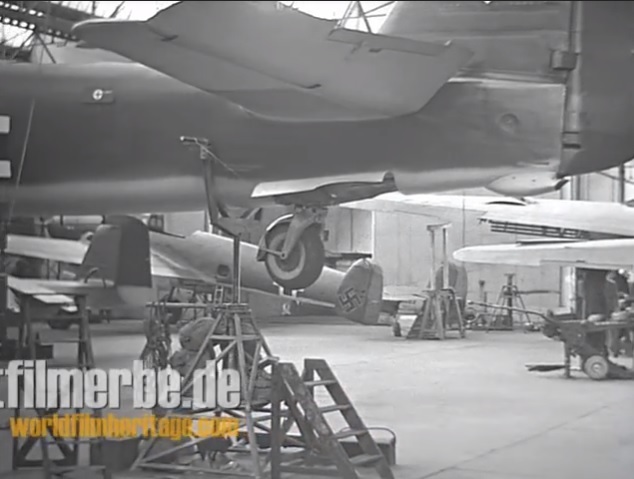 On the table was an offer to produce spares for German aircraft manufacturers and establish overhaul and repair facilities for aircraft operating from French territory and in so doing preserve industrial capacity in aviation and preserve employment and some of their manufacturing base in France. In making themselves useful to the Germans, the French authorities hoped to avoid all their workers being drafted east to work as 'Auslandarbeiter' in German aircraft factories. Their offer was quickly taken up and led to the establishment of so-called Frontbetriebreparatur or FBR plants - advanced overhaul facilities. 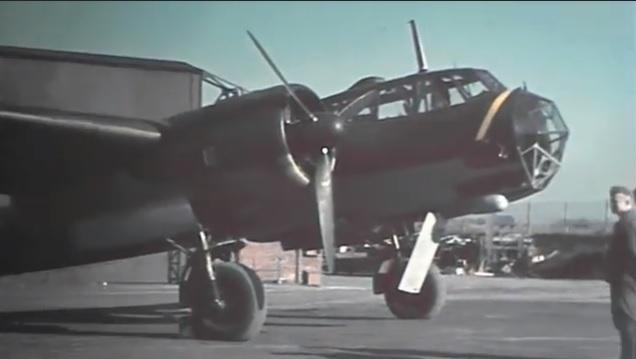 With Ju 88s, for example, operating from no fewer than thirty eight aerodromes throughout France at the height of the Battle of Britain the French had quickly gained a certain amount of expertise on the type. 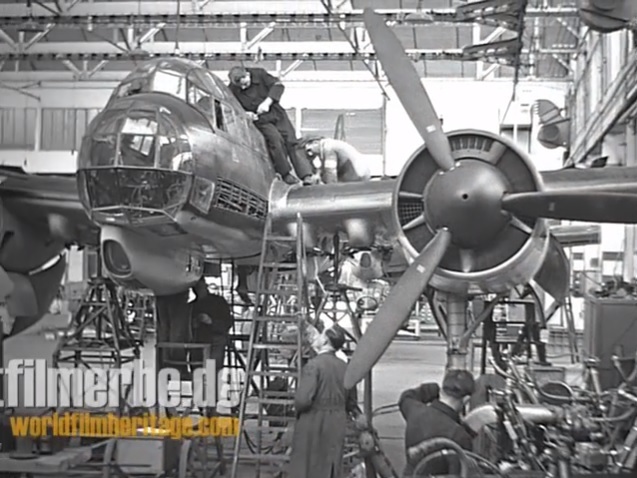 The Vichy Government thereafter concluded the so-called Wiesbaden Agreement with the Reich to bring the French aircraft industry fully into alignment with German production, with one aircraft or engine out of every three being retained for Vichy, the other two going to Germany. Certain types, such as the Messerschmitt Bf.108, Siebel Si.204 and Fiesler Fi.156 Storch were intended for wholesale transfer of their production to France. 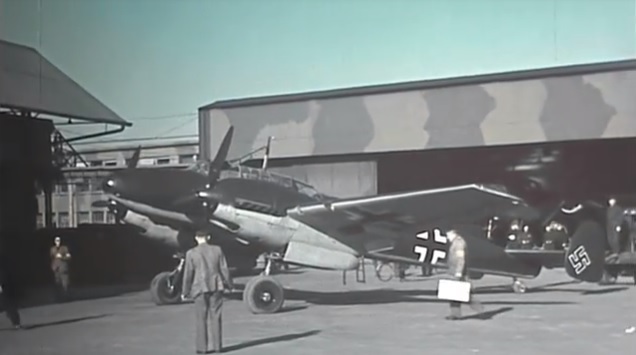 And indeed, even the Focke Wulf Fw 190 was intended for this move (and the post-war Armée de l'Air was briefly equipped with home-built Fw 190s, known as the NC.900). While some would argue that the French were not constructing war machines for the Germans, it is nonetheless the case that producing large numbers of transports and seaplanes enabled German industry to concentrate on fighters and other offensive weapons. Today the Méaulte factory is home to Stelia Aerospace who turn out nose sections for Airbus. The factory scenes appear in the first five-minutes of this 7-minute clip. A single click to view here.